Blessings, Miracles, &Thoughts in Between: Thirty-One! I am excited to announce that I am officially an Independent Thirty-one Consultant! I am so excited about this new journey and having something to simulate my mind other than just staying home! While I adore being a stay at home mom, and I know that it is exactly where God wants me right now, I was feeling a bit down on myself. Before Kate was diagnosed with CAMT, I worked part time and it was wonderful. I had 2 days a week at home with her to do fun things while also having three days to put on my professional hat and use the non-mommy parts of my brain. I've been looking into part time, at home "jobs" for a few months now but nothing fit into my life style. I need to be able to work at my own pace, take time off when major medical issues come up (and we all know they will come up - it's just a matter of time), and be able to dedicate time to something after my kids are in bed. If I'm being honest, Thirty-one had not even remotely crossed my mind until last week. I have always loved Thirty-one products (I even hosted a party a few months ago) but I just never thought about a career with the company until just a few days ago. My Director attended the Thirty-One National Conference last week and was tweeting about some awesome things going on with the company. I spent one day praying about Thirty-One during nap time and was soon filled with clarity about the situation. I just knew that the Lord had put this company on my heart for a reason. I texted Kodi (my now Director that I "met" via the mommy blogging/ twitter community) and told her I was pretty sure I wanted to become a part of her team! Kodi responded and said that she had been thinking about me and how well Thirty-One would fit into my life and that she really felt my personality would allow me to thrive in this type of work! I do not think it is a coincidence that Kodi was thinking about me while I was prayerfully considering joining her team! I am really looking forward to seeing what I can do with this new venture and am already enjoying getting things up and running, organizing my site, planning parties, etc. It feels so good to have something positive and fulfilling to turn to after the littles go to bed! And I'm confident that some extra change in my fun money budget won't hurt either! If you do not already have a personal Thirty-one consultant, head over to my site and take a look! I never want to be that type of consultant that pushes products onto people. Thankfully, Thirty-one sells itself since products are not only super useful, they are also cute! And nearly every product can be personalized! You can shop my online Kick-off Party until August 15! There are two amazing deals this month - $5 personalization as well as 50% off an item from the Spirit Collection with every $31 you spend! I was able to see a few sneak peeks of the new fall line (it will be launching next month) and the new products and patters are wonderful! But, with the introduction of new products, tons of current products will be retired and no longer available. Take a look at everything being retired and make sure you pick up anything you may need before it's too late! And if any of you are also looking for a fun way to make more money while connecting with new, and old, friends, feel free to email me about joining my team and becoming a consultant as well! 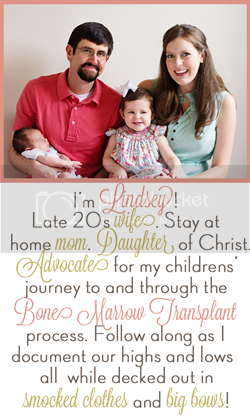 Congratulations Lindsey! Everyone in America should be a business owner, this is the one country where we can. And the tax benefits are also nice. Welcome to the world of Mom's in Business! How fun! Best of luck. :) It's so great to see "stay at home moms" running their own businesses so successfully. You'll do great! I'm going to start selling under Kodi, too! I'm so excited, and I think she will be a great mentor. Good luck lady!